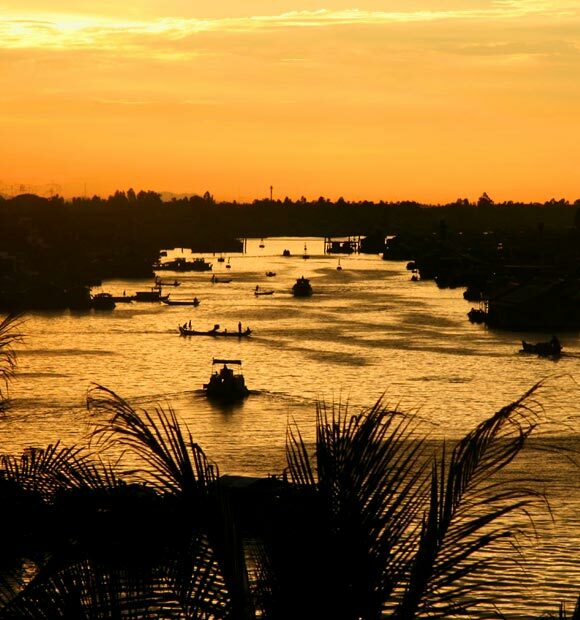 Sitting at the point where the Mekong River meets the immense Tonle Sap Lake, Cambodia’s capital is a mainstay of every voyage which explores the Mekong River and is home to a wealth of attractions related to various stages in its long history. 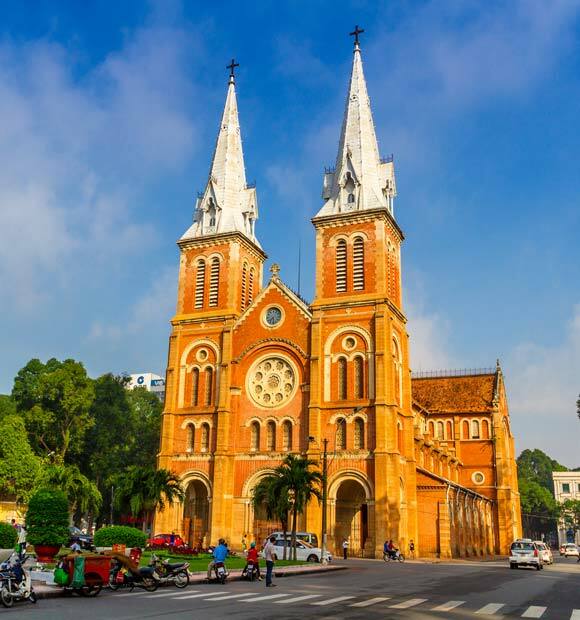 It’s been the nation’s capital since the days of French colonisation and Indochina and is also regarded as its cultural and political centre. 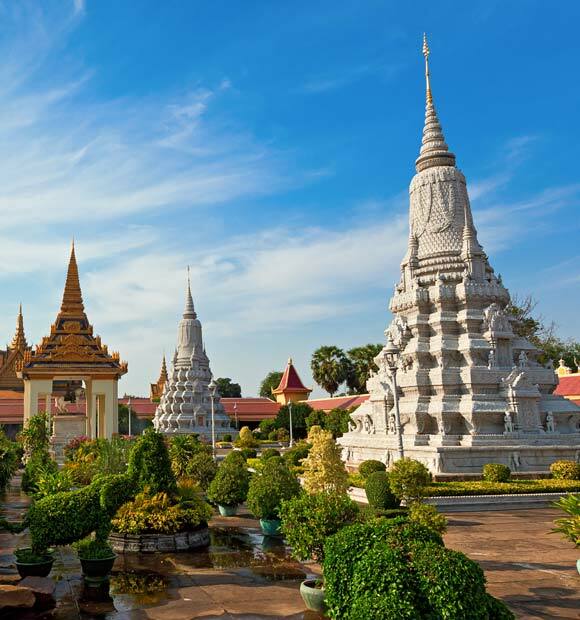 The city takes its name from one of its most prominent nearby Buddhist temples Wat Phnom or ‘hill temple’. Indeed, the city is founded on Buddhism and the legend of its establishment involves a woman in the 14th century who spotted a floating tree while gathering firewood close to the river, in which she discovered four statues of Buddha. It was taken as a sign and a blessing and secured the city’s Buddhist heritage, which can be explored in-depth when you visit. 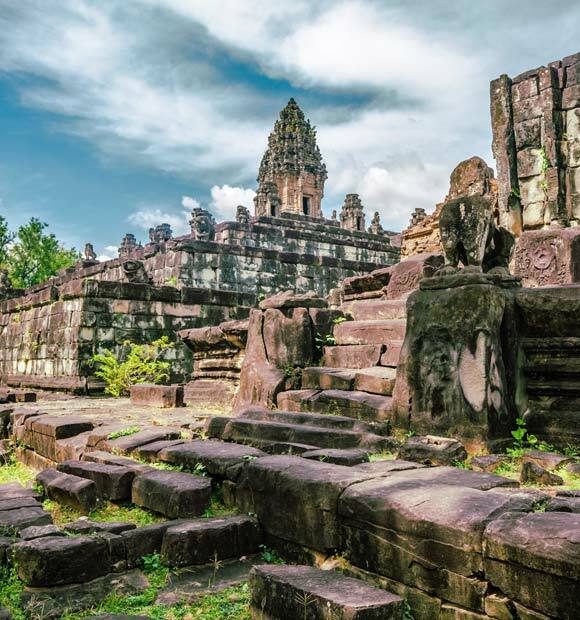 In modern times, it was also involved in the country’s darkest chapter when it suffered immensely under Pol Pot’s brutal Khmer Rouge regime, a part of its history which can also be explored. 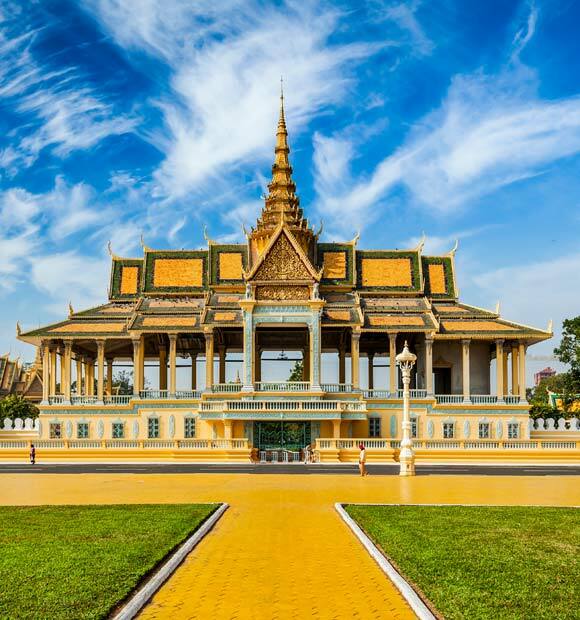 The first place most visitors head when visiting Phnom Penh is the jaw-dropping Royal Palace with its incredible Silver Pagoda. It’s a good idea to pick a cruise excursion which offers a guided tour rather than explore on your own, as everything will be put into context by your knowledgeable guide. The architecture is incredible throughout the complex but the centre-piece is indeed the Silver Pagoda. Its ornate golden exterior may have you wondering how it earned its name, but as soon as you step inside you’ll understand why when you catch sight of its incredible floor which comprises thousands of silver tiles. Inside, gold and emerald statues of Buddha are featured as well as a wealth of other treasures. 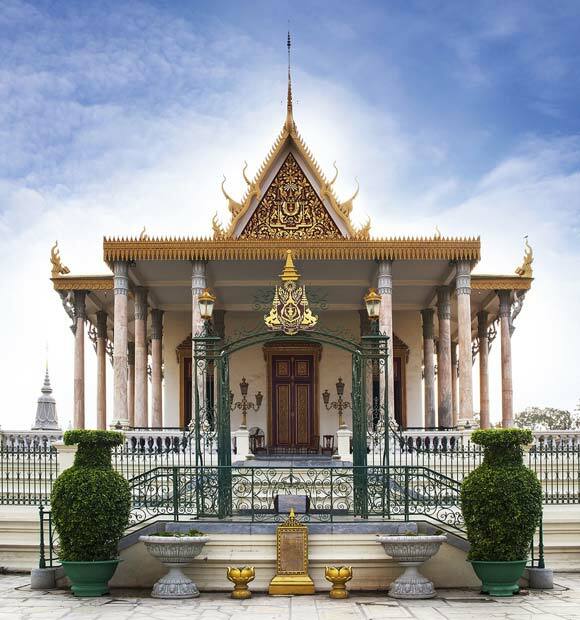 For many, a visit to nearby Wat Phnom is only fitting given its influence on the city’s founding. 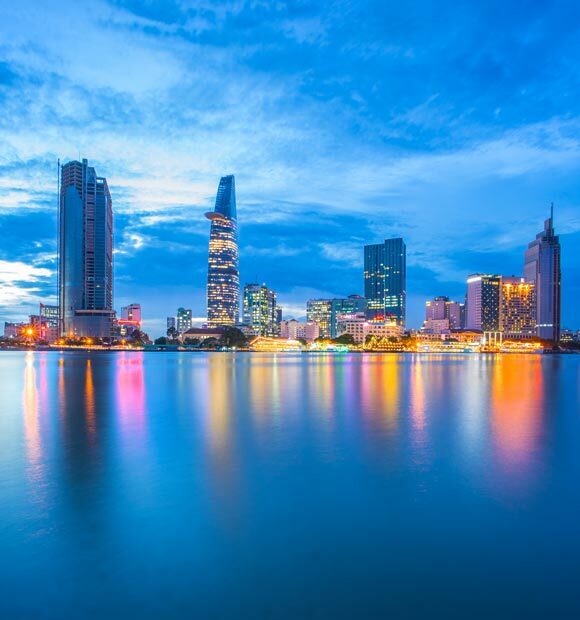 It’s regarded by many of Phnom Penh’s citizens as the city’s spiritual heart and indeed, there’s a tangible atmosphere and some beautiful architecture to experience. Sometimes overlooked by visitors is Wat Ounalom, an altogether more modest temple which is nevertheless still beautiful and a great place for some quiet reflection. Those wishing to get a feel for themselves how the city suffered during the Khmer Rouge regime should pay a visit to the Tuol Sleng Genocide Museum and also the Killing Fields. 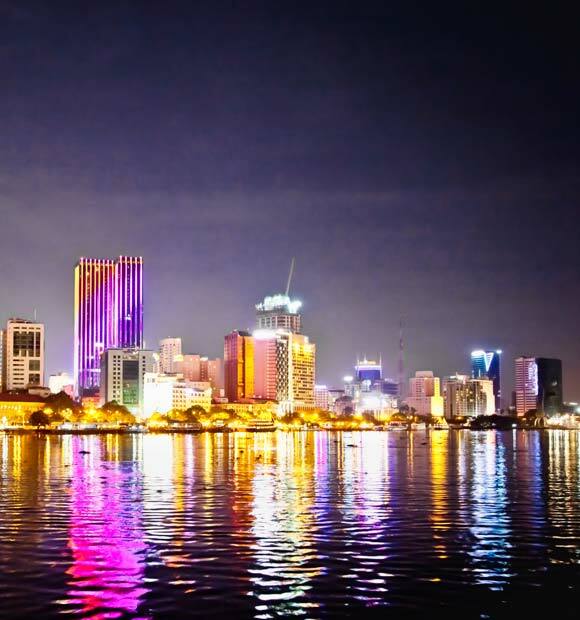 In the living memory of the majority of river cruise visitors, the twisted ideal of Pol Pot’s Khmer Rouge resulted in the deaths of huge numbers of the city’s population. Many were detained and tortured and the present day museum is where the atrocities took place, with guided tours available. The Killing Fields is the place where the regime disposed of its victims and today it has been turned into a memorial for the millions who were killed. Audio guides are available to put your visit into context and inform you about how the regime operated. It’s certainly harrowing yet informative and a poignant reminder of how far the city has come since its most harrowing days. 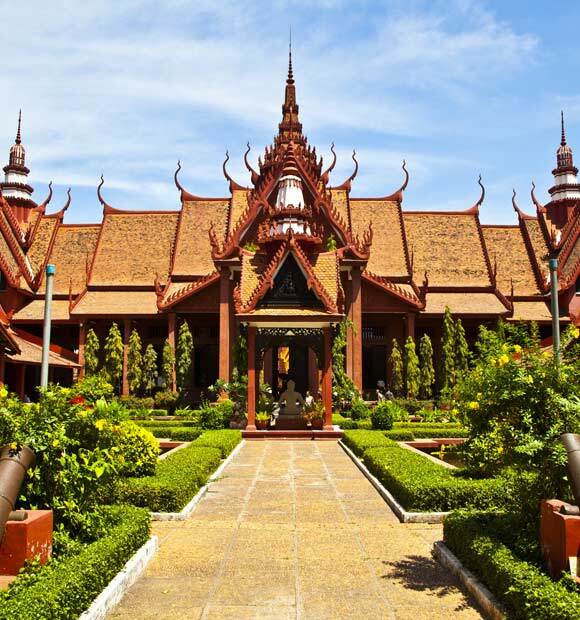 Though tourists are more than welcome in Phnom-Penh, it should be noted that the Killing Fields are also a place of pilgrimage for many Cambodians who lost family members to the regime, so it’s important to behave respectfully. If you’ve time for a snack during your explorations, you’ll find a satisfying blend of both French and eastern cuisine in the city.